Prince William, the Duke of Cambridge, has made a truly historic first official visit of a member of the Royal Family to Israel. Yesterday, June 26th, he met with 4 select top technology companies. The companies are leaders in the fields of disabilities, education, and social change. He met with ReWalk Robotics Ltd, Myndlift, and AlgoBrix. 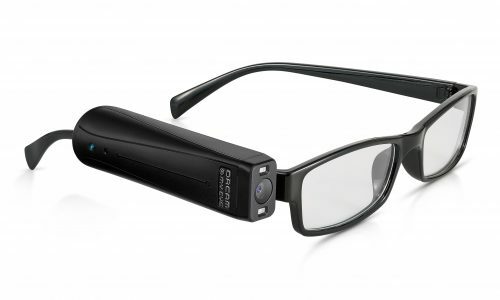 He also met with OrCam Technologies, which has created OrCam MyEye 2, the most advanced assistive wearable technology, that reads text, recognises faces, and identifies products for the blind, partially-sighted, and people with reading difficulties. On June 26th, thanks to UK Israel Tech Hub, OrCam had the honor of presenting OrCam MyEye 2 to Prince William, the Duke of Cambridge. 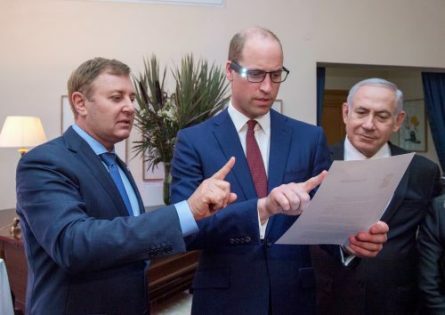 Prince William used OrCam MyEye 2 to read text, as well as to recognize Prime Minister Benjamin Netanyahu. This is on the heels of presentations to both top Alibaba executives and Panamanian President Juan Carlos Varela. The Prince experienced first-hand how OrCam MyEye 2, the most advanced wearable assistive device for people who are blind, partially-sighted, or have reading difficulties, uses AI technology to read text and recognise faces. With the world observing this historic tour, the spotlight, even if briefly turned to life-changing technology. Devices such as OrCam MyEye 2 change the world for the better, with the potential to improve the day-to-day lives of millions of people.